One of the biggest issues that continues to grow in importance is noise levels in manufacturing operations. Noise studies on health consistently indicate that damage can be temporary or permanent. Most advanced countries have strict standards on how long a worker can be exposed to noise. In fact, anything over 85 dBA is considered dangerous by many company standards. Noise reduction headphones are generally mandatory in many operations where loud noise is prevalent, or at the very least plastic air plugs. Compressed air exhaust air is a major source of noise and this is a big reason why noise reducing products such as amplifying air nozzles , air knives and air amplifiers are used. 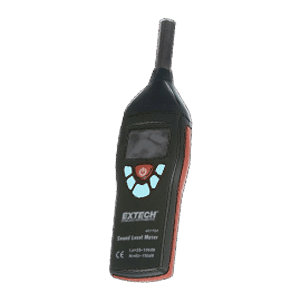 The X-Stream™ Sound Level Meter is used to measure and monitor the sound level in all types of industrial environments. 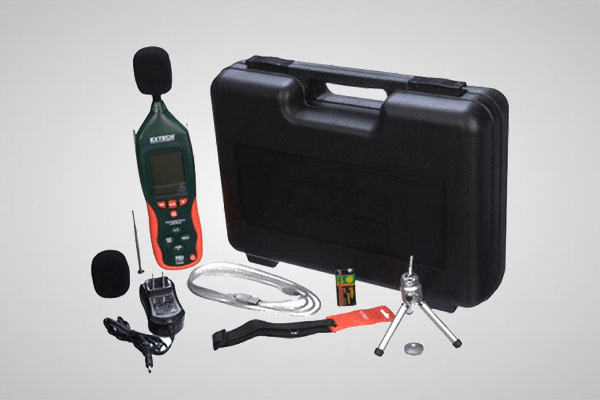 Used for compressed air exhaust noise measurement, it can identify areas where costly and inefficient blow off can be replaced by energy efficient Nex Flow™ blow off products. In many instances, noise may be reduced by amplification products as much as 10 dBA, to protect workers from excessive and damaging noise levels and reduce energy use. The basic unit is handheld and is very accurate, more so than utilizing phone apps. 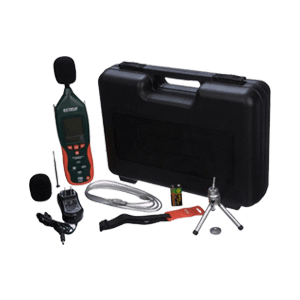 The larger system with data collection can identify noise problem areas that may be intermittent to properly address them.